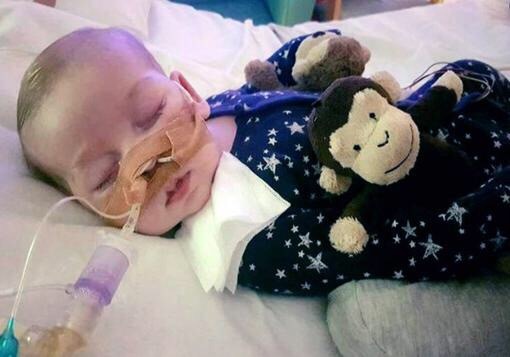 This week comes the final update in the story of Charlie Gard. After examination by American physicians, it was determined that Charlie’s muscular system had degenerated too far for any chance of recovery. The parents released a statement, in which they said they would proceed with palliative care. To Charlie we say mummy and daddy, we love you so much. We always have and we always will and we are so sorry we couldn’t save you. What does that mean for an 11-month-old baby? It meant a guardian was appointed to make the case against the parents, and that a court made the final call. The message from these medical and legal officials arrayed against the parents was this: How dare you look for a second opinion. We need to remind ourselves that parents do not have rights regarding their children, they only have duties, the principal duty being to act in their children’s best interests. This has been part of the fabric of our law and our society for a long time. …[If] we are concerned with the language of rights, it is, of course, children who have rights; any rights that parents have exist only to protect their children’s rights. The author, Ian Kennedy, takes issue with the language used by supporters of Charlie and his parents, but I take issue with Mr. Kennedy’s language. Kennedy commits what is, first of all, a crime against human decency and compassion in comparing the Gard’s case to that of child abuse and neglect. Kennedy goes on to discuss how “any rights parents have existed only to protect their children’s rights.” Right on Mr. Kennedy, and I may ask you, what right exists that is more fundamental than the right to life? If free citizens do not have a right to life, a right which they can claim against all men and institutions, then they, in fact, have no rights, and are not free. If the state refuses to defends a child’s right to life, then who else will but the parents? Sickeningly, Mr. Kennedy and many other commentators on the left use slippery language in which they conflate the “good of the child” with the “death of the child”. Implying that it is in a child’s best interest to die rather than live. It’s one thing to argue that from the philosophical point in a discussion of ethics, it’s quite another to enforce that view on an individual using the power of the state. We cannot allow the state to ever take upon itself the authority to determine if my life, or my child’s life, is not worth living. We need only look at the history of eugenics, forced sterilization, and involuntary euthanasia in the 20th century to see the literal road to hell that premise paves. Charlie’s case was tragic from the onset. But it was a tragedy amplified by the state’s intervention, against the Gards. The principles involved however are bigger than Charlie, bigger than the Gards. The question of life and death is one that cuts to the core of civilization and the core of every individual. In these modern times, when we’ve lost the religious and philosophical underpinnings of our society, we must defend life against the ever encroaching preference for death. We must defend the principle that human life is a preeminent value. Most of all, we must be ready to defend the lives of the defenseless. My ongoing prayers are with Charlie and his family. Next Are Comic Books Dying?